The mandate? Design a new arts centre for Queen’s University. When you put it like that, it sounds simple. But in fact, it was anything but. In addition to a performance hall, the building needed to accommodate the very different needs theatre, music, and film and media students. And all fit within a compact piece of land that, while it featured fantastic lakeside views, demanded fitting a new building around substantial historic structures. That was the challenge for Ottawa-based architects N45 and Oslo’s Snøhetta. The Norwegian firm is well known for designing a number of significant buildings worldwide, among them the Library at Alexandria in Egypt as well as impressive performance halls in Oslo and Busan, South Korea. The Isabel is Snøhetta’s first-ever Canadian commission. 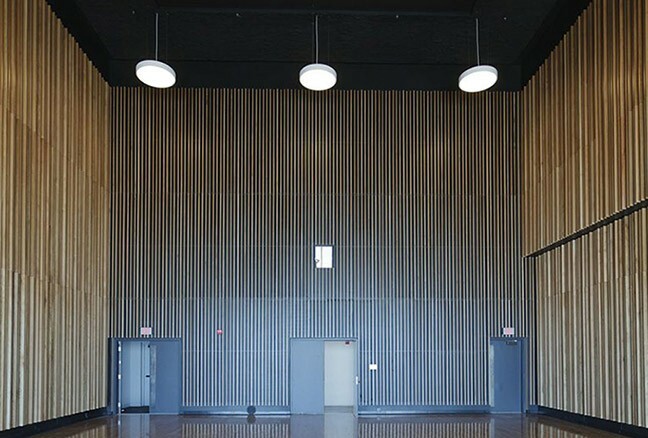 The 566-seat performance hall has two-foot-thick walls to effectively muffle sound. The Principal Emerita Karen Hitchcock Rehearsal Hall mimics the acoustics of the performance hall. 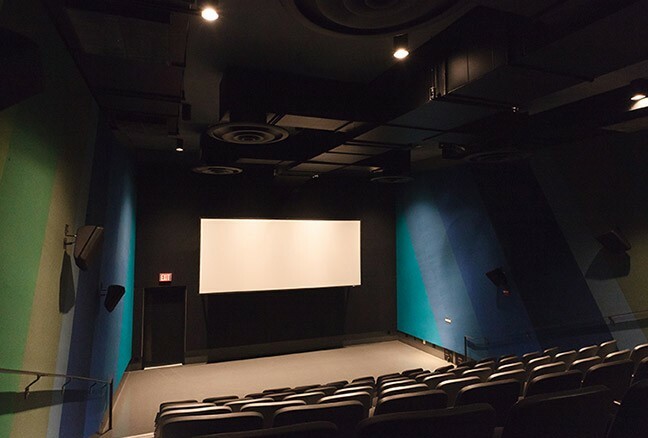 Film screening room offers unobstructed views. The firms’ winning design located the bulk of the new building within the courtyard created by the historic brewery and stable – and then incorporated them directly into the new facility. Repurposing the former brewery meant removing the existing pine, hemlock and spruce floors, which was later re-milled and used to finish the interior of the building’s lobby. 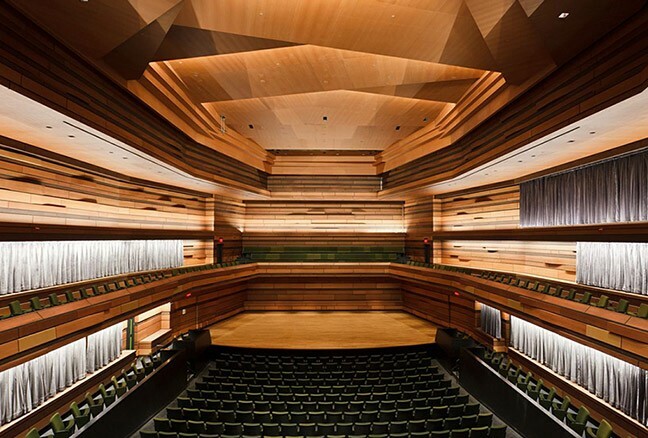 If the Isabel can be said to have a heart, it is the 566-seat performance hall. Virtually a building within a building, no part of the hall touches the rest of the structure directly and its two-foot-thick walls so effectively muffle sounds that even if someone outside the hall were pounding on the floor with a hammer, the audience inside wouldn’t hear it. The acoustics were designed by New York-based Arup using their Virtual SoundLab technology, which allows the environment of a space to be listened to before it is even built. Retractable motorized acoustic drapes allow the performance hall sound to be customized even further. For several years now, Arup’s team has collaborated with the architects at Snøhetta to create the pristine acoustics of the Isabel concert hall as well as the rehearsal hall, which exactly replicates the main venue’s acoustics. It is rare that sound engineers work so closely with the architects from day one. When Robert Matthews, the lead architect from N45, first saw the site he recalls being stunned by the view – the white-capped lake, with all its “presence and power.” Thanks to its large expanses of glass, the Isabel’s design draws the lake into the building while its sinuous steel roof echoes the glistening waters. 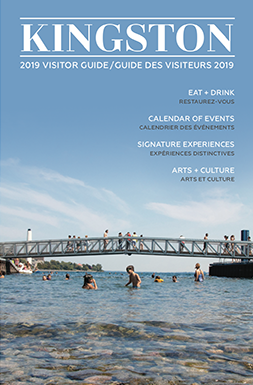 Together they tie what Matthews justly calls “one of the great concert halls in eastern Canada” to its waterside environmentThere are few Canadian classical ensembles that are as recognized internationally as Quebec City’s Les Violons du Roy. The orchestra has been applauded around the world, touring to European centres no fewer than 10 times in its 30-year history. 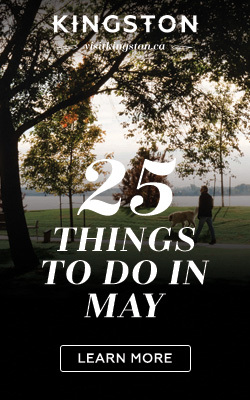 Les Violons, which just released its 26th recording, last visited Queen’s 12 years ago and launches a North American tour at the Isabel Bader Centre for the Performing Arts. The ensemble appears with the Grammy Award-nominated pianist, Marc-André Hamelin, in a program featuring works by Haydn, Mozart and Rameau. This story originally appeared in the program for The Isabel Bader Centre for Performing Arts at Queen’s University. For more information about the Isabel Bader Centre for the Performing arts visit theisabel.ca.